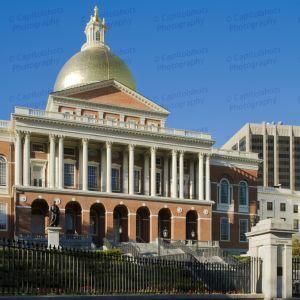 Photos of the Massachusetts State House, the Massachusetts state capitol, in Boston. Designed by Charles Bulfinch, the Federal style building was constructed between 1795 and 1798. The Massachusetts State House is a National Historic Landmark. All photos in this collection © Capitolshots Photography, ALL RIGHTS RESERVED. Please contact Capitolshots Photography at 202.709.7273 or at info@capitolshots.com if interested in licensing any of the images in this collection. 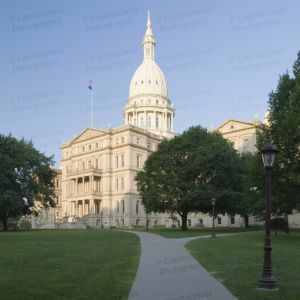 Photos of the Michigan State Capitol in Lansing. Designed by Elijah E. Myers, the Classical Revival building was completed in 1878. The Michigan State Capitol is a National Historic Landmark. All photos in this collection © Capitolshots Photography, ALL RIGHTS RESERVED. Please contact Capitolshots Photography at 202.709.7273 or at info@capitolshots.com if interested in licensing any of the images in this collection. Photos of the Minnesota State Capitol in St. Paul. Cass Gilbert modeled the Beaux-Arts structure after Saint Peter's Basilica in Rome. 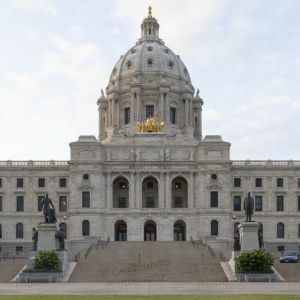 The Minnesota State Capitol was constructed between 1896 and 1905 and is listed on the National Register of Historic Places. All photos in this collection © Capitolshots Photography, ALL RIGHTS RESERVED. Please contact Capitolshots Photography at 202.709.7273 or at info@capitolshots.com if interested in licensing any of the images in this collection. Photos of the Mississippi State Capitol in Jackson. Designed by Theodore C. Link, the Beaux-Arts structure was completed in 1903. 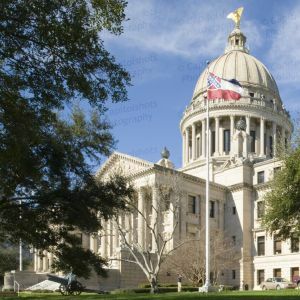 The Mississippi State Capitol is listed on the National Register of Historic Places. All photos in this collection © Capitolshots Photography, ALL RIGHTS RESERVED. Please contact Capitolshots Photography at 202.709.7273 or at info@capitolshots.com if interested in licensing any of the images in this collection. Photos of the Missouri State Capitol in Jefferson City. Designed by the architectural firm of Tracy And Swartwout, the American Renaissance structure was constructed between 1913 and 1917. 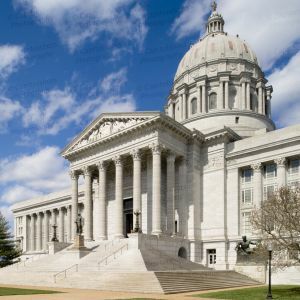 The Missouri State Capitol is listed on the National Register of Historic Places. All photos in this collection © Capitolshots Photography, ALL RIGHTS RESERVED. Please contact Capitolshots Photography at 202.709.7273 or at info@capitolshots.com if interested in licensing any of the images in this collection. 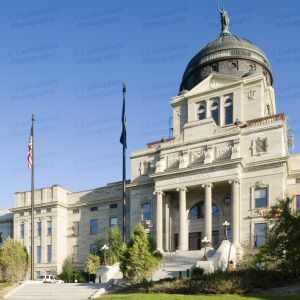 Photos of the Montana State Capitol in Helena. Designed by Charles Emlen Bell, the Classical Revival structure was constructed between 1899 and 1902. The Montana State Capitol is listed on the National Register of Historic Places. All photos in this collection © Capitolshots Photography, ALL RIGHTS RESERVED. Please contact Capitolshots Photography at 202.709.7273 or at info@capitolshots.com if interested in licensing any of the images in this collection. Photos of the Nebraska State Capitol in Lincoln. Designed by Bertram Goodhue and constructed between 1922 and 1932, the limestone structure draws upon a myriad of architectural traditions in its design. 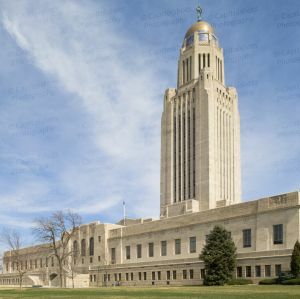 The Nebraska State Capitol is a National Historic Landmark. All photos in this collection © Capitolshots Photography, ALL RIGHTS RESERVED. Please contact Capitolshots Photography at 202.709.7273 or at info@capitolshots.com if interested in licensing any of the images in this collection. 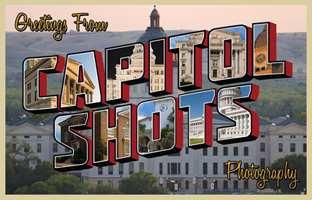 Photos of the Nevada State Capitol in Carson City. Designed by Joseph Gosling and completed in 1871, the Italianate structure was expanded in 1905 and completely rebuilt between 1977 and 1981. The Nevada State Capitol is one of three capitols in the nation in which the state legislature does not meet, as the legislature convenes in a separate building completed in 1971. 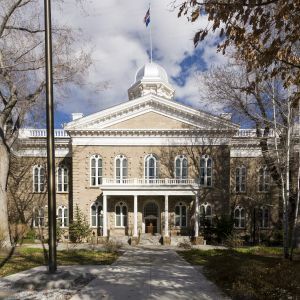 The Nevada State Capitol is listed on the National Register of Historic Places. All photos in this collection © Capitolshots Photography/TwoFiftyFour Photos, LLC, ALL RIGHTS RESERVED. Please contact Capitolshots Photography at info@capitolshots.com if interested in licensing any of the images in this collection. 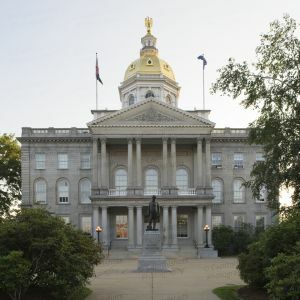 Photos of the New Hampshire State House, the New Hampshire state capitol, in Concord. Designed by Stuart James Park, the Classical Revival building was constructed from 1816 to 1819. The New Hampshire State House is the oldest state capitol in which the legislature meets in its original chambers. All photos in this collection © Capitolshots Photography, ALL RIGHTS RESERVED. Please contact Capitolshots Photography at 202.709.7273 or at info@capitolshots.com if interested in licensing any of the images in this collection. Photos of the New Jersey State House in Trenton. 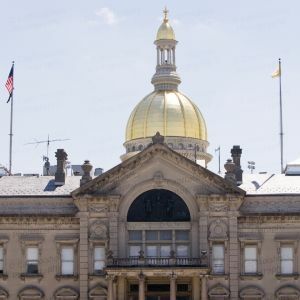 Originally designed by Jonathan Doane and completed in 1792, the building, which serves as the New Jersey state capitol, has been expanded and remodeled many times over the years. The New Jersey State House is listed on the National Register of Historic Places. All photos in this collection © Capitolshots Photography, ALL RIGHTS RESERVED. Please contact Capitolshots Photography at 202.709.7273 or at info@capitolshots.com if interested in licensing any of the images in this collection.